I have not been taking many pictures of late, or at least not keeping many. 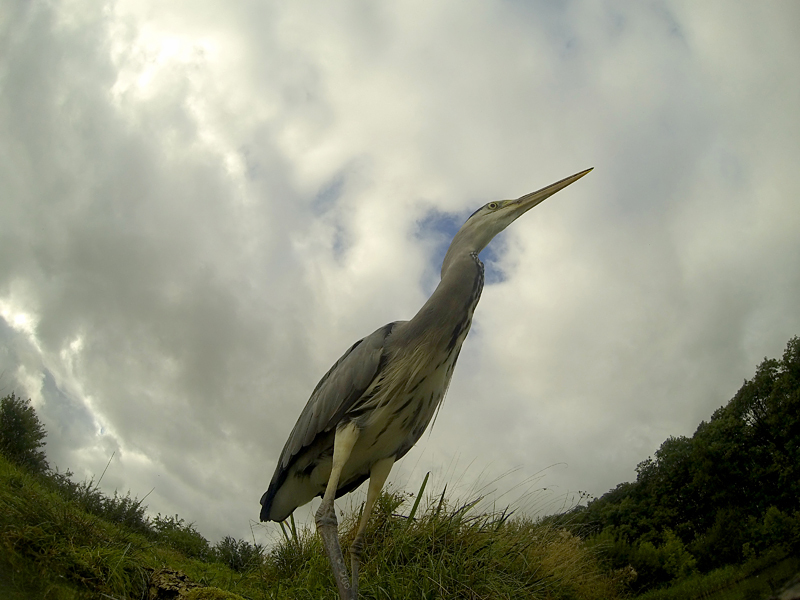 10 days in a row I have tried to photograph a Grey heron with a super wide angled lens looking up at him. The camera is at water level and I want the bird to more or less stand on it, but although it is a small compact camera and totally silent the bird is to wary to get that close. Each day I think he is getting more confident and today I have taken two that I will at least keep (for now). I want a better sky behind him and his feet in the shot.